Detroit. A city in such financial distress, the name has become synonymous with bankruptcy and decay. A crumbling urban wasteland that has been cited for financial mismanagement and crime so often that a simple web search will produce headlines such as: “Detroit Becomes Largest US City to Enter Bankruptcy,” “Detroit Facing Challenges One Year After Bankruptcy,” “Detroit Schools Face Bankruptcy,” and “The 10 Most Dangerous Cities in America." So what's the next logical step for a city that received bankruptcy protection a few years ago? 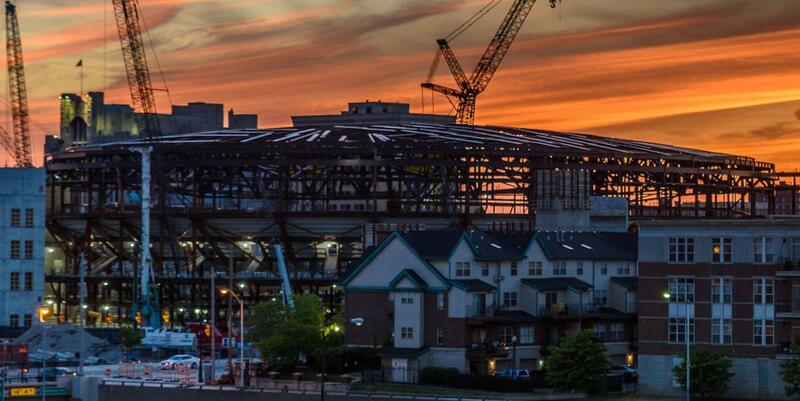 Why, refitting an arena to get the Pistons to return to downtown Detroit, of course! According to Eric Boehm, writing for Reason, the Detroit city council recently voted to take $34 million, intended to go to parks and public schools, and add it to the $300 million of a total $900 million “public-private” partnership” for the construction, and now, retrofitting, costs of the Little Caesar’s Arena. The Detroit Red Wings hockey team already plays there, but, as always, politicians think it would be just peachy to use taxpayer money to “attract” a big sports franchise into the area to “boost” local businesses. Yeah, this “remarkable comeback story” is soon to be featured in the “Fantasy” section of your local bookstore, since, as noted above, the Detroit government-run schools are $500 million in the red. But perhaps we need to go easy on the city council members. After all, they probably took math classes in the failing government school system as kids, so simple arithmetic might not be in their wheelhouse. Not surprisingly, the judge dismissed the suit, because, as we have seen throughout American history, politically appointed judges so often side with taxpayers against the government. Meanwhile, Pistons owner Tom Gores is estimated to be worth over $3 billion. For a group of politicians who supposedly stuck up for the poor when their bankrupt government ways were going to cause city water to be shut off a few years ago, there seems to be a profound disconnect in their class envy game. Now, it appears that the city can’t handle expenses even after getting federal bankruptcy protection. And, when they tell people they are going to get money to pay for the in-the-red schools, they instead pass the money ball to the Pistons. Do leftists really want to keep arguing that having government-run education is a really good idea? Would a private school caught doing something this underhanded and lame continue to receive investment from willing donors and customers? Yet the Detroit government will continue to play games with other people’s money, even as its members run their schools into the ground and pat themselves on the back for “revitalizing” a city that remains a complete mess.